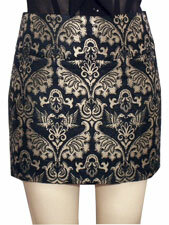 This slim fitting, unlined mini skirt is a wardrobe essential for every season. 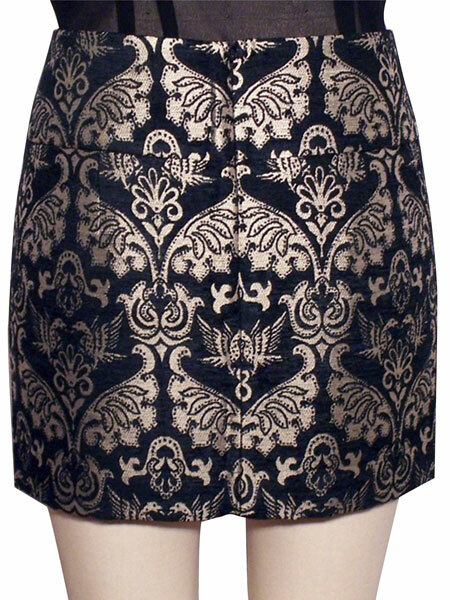 Designed for woven stretch fabrics, sitting approximately 2 1/2" below the natural waistline, and featuring a flattering yoke waistband and center back zipper, you’ll love this skirt. And you’ll be amazed at how quickly and easily it comes together. 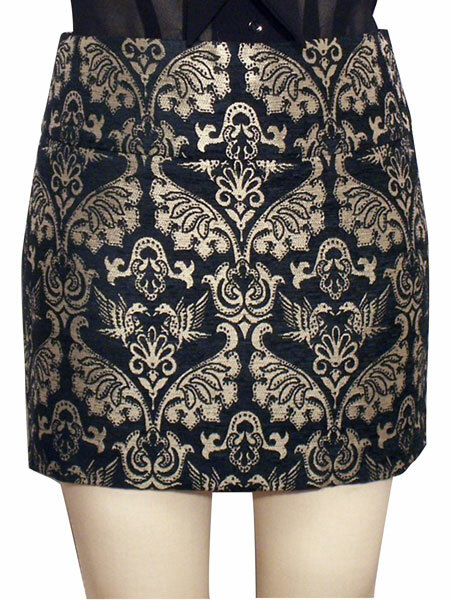 This style is provided as a digital pattern. It may be printed on home printers that use either 8 1/2" x 11" or A4 paper. Make sure to select the correct paper size option when making your purchase. When you complete your order, you will be provided with a unique code to instantly download the pattern. See our digital product policy for full details. 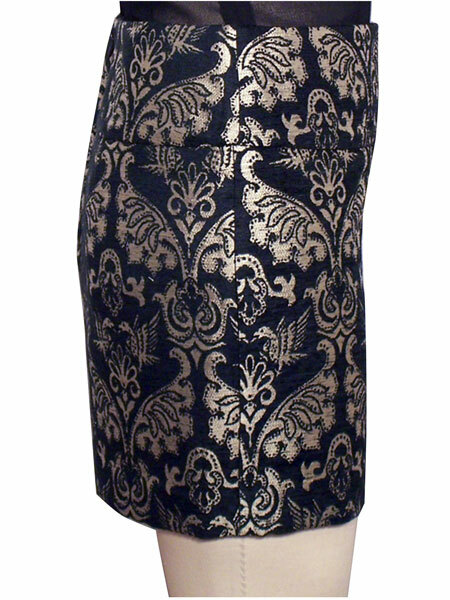 In-House Patterns are designed and developed with minimum ease for a sleek and fashionable fit. Review the size chart carefully and choose your pattern size accordingly. 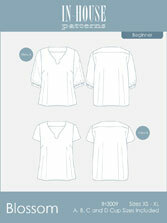 If your measurements fall between the sizes, choose the larger size, make a test garment, and tailor to your perfect fit. Special attention has been given to fit an average figure with a full bust. 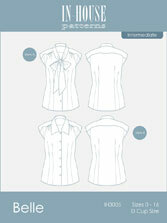 The In-House Patterns average figure with a full bust is considered to be an hourglass shape with a "D" bra cup size. Don't worry if you don't feel you fit into this category, styling and design can be very flexible. In-House Patterns strives for a completely professional looking finished garment and seeks to avoid that "home sewn" look. 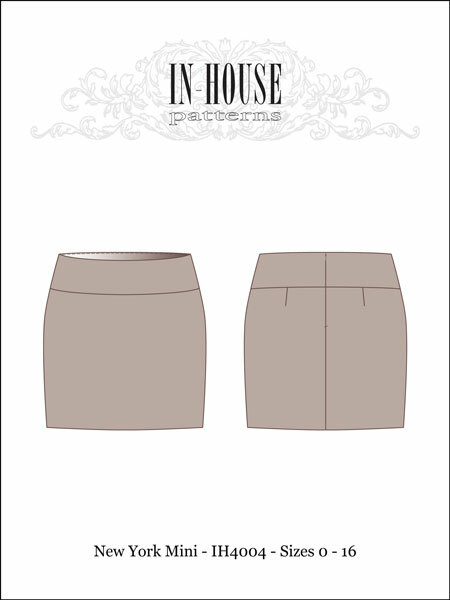 In order to achieve this, In-House Patterns seam allowances and construction techniques are not the same as many other home sewing patterns. In-House Patterns are developed using industrial construction techniques which require very specific seam allowances. This makes sewing easier and saves you time and fabric. 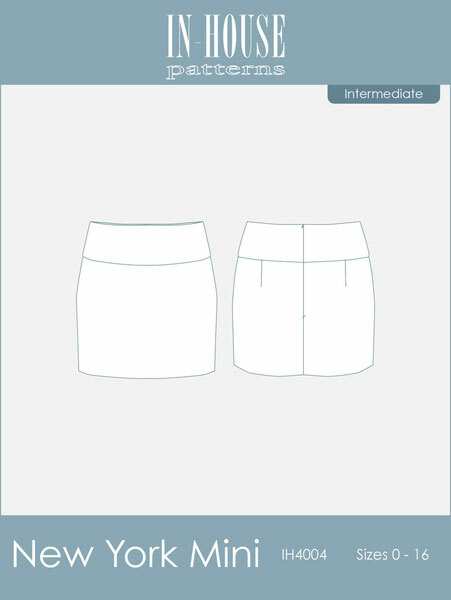 All of the information and assembly instructions are included with the pattern and have been adapted for your regular home sewing equipment. 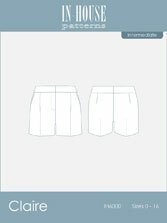 While In-House Patterns can be quite easy to sew, it is assumed that customers have previous sewing experience. Having a solid knowledge base in sewing vocabulary and skills will ensure greater success in achieving a professional looking finished garment.